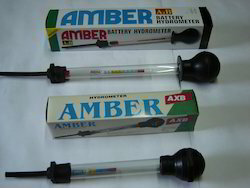 Prominent & Leading Manufacturer from Ahmedabad, we offer battery hydrometers, twaddle hydrometer, specific gravity hydrometers, brix hydrometers, laboratory hydrometers and density hydrometer. We are engaged in manufacturing, supplying and exporting a superior quality range of Battery Hydrometers. These hydrometers are designed in compliance with set industry standards and using high-grade raw material and latest machines. Owing to their features like high performance and accuracy, these hydrometers are widely demanded and appreciated by the clients. We also test these hydrometers on various parameters so as to ensure their long life. 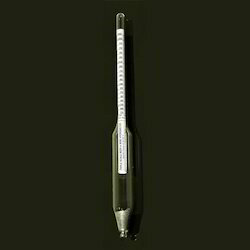 Our organization is engaged in manufacturing a wide range of Twaddle Hydrometers. These hydrometers are manufactured using high-grade raw material, which is sourced from the authentic vendors of the market. Moreover, the products offered by us are manufactured using sophisticated technology that helps in remaining in compliance with set industry standards and norms. Offered in various specifications, these hydrometers suit the variegated requirements of our clients. Our domain expertise has enabled us to offer a superior quality range of Specific Gravity Hydrometers. These hydrometers are manufactured using high-grade raw material and advanced technology to remain in tandem with international standards and norms. 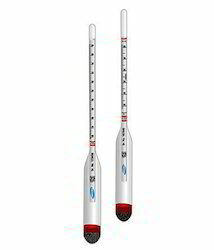 Moreover, these hydrometers are offered in different specifications that meet the multiple demands of our clients. 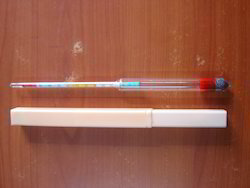 Owing to their features like accurate readings and longer, these hydrometers are widely demanded by the clients. 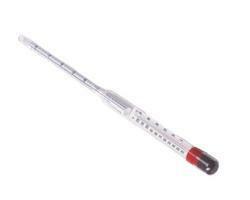 We can also provide Brix Hydrometers with thermometers if required. Given below are the generally used range of Brix Hydrometers but any custom requirement can also be offered by us. We are engaged in manufacturing superior quality range of Scientific Laboratory Hydrometers. These are designed using high-grade material glass, which is procured from the reliable vendors of the market. Our offered instrument is used to determine the specific gravity of various liquids. 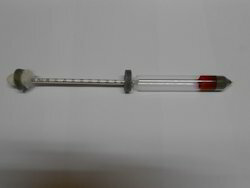 The range offered by us includes Baum Hydrometers, Specific Gravity Hydrometers, Brix Hydrometers, Twaddle Hydrometers, Density Hydrometers, Percentage (%) Hydrometers, Thermo Hydrometers. Looking for Laboratory Hydrometers ?